COMING SOON!! Project is in development and we're so excited to share it with you. ​CARPE is an acronym for Collaborative Augmented Reality Park Experience and offered as a mobile experience designed to get teams of kids and adults outside to play a story-driven, location-based game in parks throughout LA. Through a series of weekend events at which CARPE LA will be played, teams will collaborate to unlock the open spaces in their neighborhoods. The goal of the project is to foster intergenerational conversation and community building in our local parks. Building upon my recent article, Virtual Graffiti in the Read-Write City ... CARPE LA is a visual and auditory creative story for the community to collect, decode, collaborate and create their neighborhood park shared experience. Research shows that intergenerational play supports language development, critical thinking, and emotional connections among families and communities. However, opportunities for people to come together for intergenerational play—experiences that are equally playful no matter your age—are often difficult to find and access. CARPE LA has two key features that will make LA the best place to play. First, it will bring an exciting new intergenerational play experience to parks around LA, which will offer the added benefit of bringing communities together. Second, CARPE LA blends digital and physical play through augmented reality technology similar to what powered the hit game Pokemon Go! 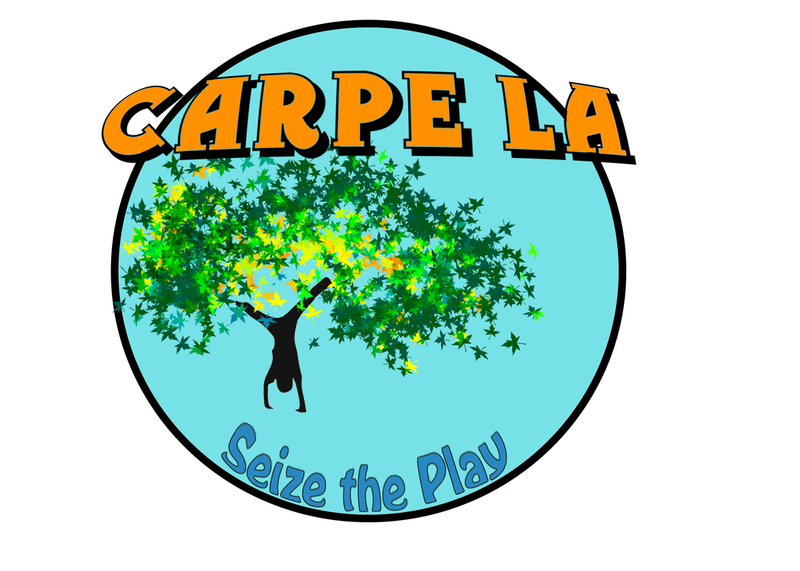 CARPE LA will also increase access to open space and park activities through gameplay events designed for participants of all ages and abilities. As a team game, play is enhanced by including players with differing abilities and ideas. And, although the game has a technological component, it is not necessary for all team members to have a mobile device to participate. Who will be impacted by the project? Middle school aged children from 10 to 14 years old in 5th - 8th grade is our target participant, but surrounding these children are parents, educators, neighbors and local businesses. This will also impact the City of LA, especially Northeast LA for the pilot and offer a story to shape playing in parks with an eye towards the future. This pilot project is supported by Annenberg Foundation Partnering with the Goldhirsch Foundation’s LA2050 initiative, through the Annenberg Challenge for Innovation in Technology If you are interested in getting involved or supporting the project, reach out to Erin. Thanks!